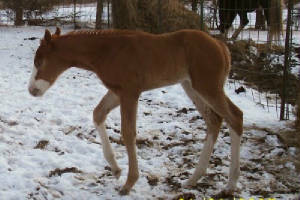 All our 2007 Foals are For Sale. 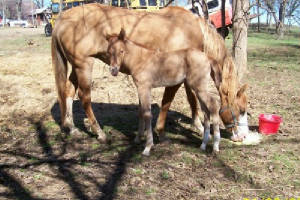 We except weekly or monthly payments till they are weaned around 4 to 5 months of the day they were born. So you can keep an eye on when they will be ready to go. 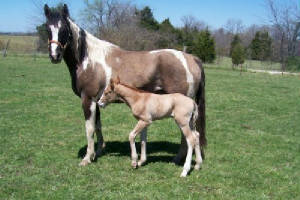 If you are interested in buying a foal, Please click on the link below. 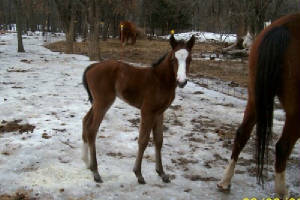 To see more pictures of the foals as they grow just click on there picture's. Thank You ! We would like to welcome our Seventh foal. 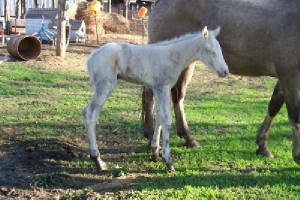 CHIEFS SKY DIXON LB had a Cremello Solid Filly this 4/3/07 evening. The sire is HOPES PEPPY ZAN. Check out her bloodlines. At this time we are asking $1000. We would like to welcome our Ninth foal. 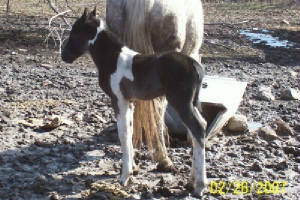 KANZA KAT DANCER had a Dun Overo Colt this 6/9/07 morning. The sire is HOT SCOTCH JUNIOR. Check out his bloodlines. AT THIS TIME WE ARE ASKING $10,000. We would like to welcome our Tenth and last foal. MISS TJ RED SONNY DEE had a Sorrel Solid Filly this 6/11/07 morning. The sire is HOT SCOTCH JUNIOR. Check out her bloodlines. AT THIS TIME WE ARE ASKING $10,000. 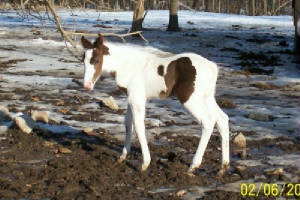 If you are interested in any of our 2007 foals, please fill out the form below. Thank You, and have a nice day ! 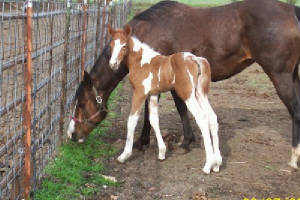 To see our 2006 Foals, please click on the link below. Thank You !